Our partners at the IOEE continues to develop skills within the apprenticeship sector through its Apprenticemakers project. Apprenticemakers provides a range of support to businesses involved in apprenticeships, including mentor training for individuals who are supporting apprentices. Apprenticemakers has worked with a variety of organisations to build and strengthen apprenticeship programmes, and this month we caught up with a recently trained British Marine apprenticemaker mentor, John Bland, to find out about the impact the workshops have had, and how he’ll be taking using his new business skills to support and mentor apprentices moving forward. 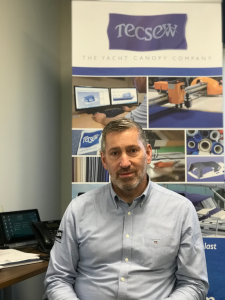 “In this specialist field you can sometimes find skill gaps that the industry needs help filling, and we felt that one of the key things we could do was to ensure that we’re recruiting the right people from the apprenticeship stage, giving them the best experience that we could so that, hopefully, they’d want to be with us for 10-15 years – or even be thinking of this as the first stage in a lifetime career.